Popular Japanese comic character Astro Boy has its own line of clothing and they are now having a sale! For a limited period only, all bottoms at Astro boy are priced at $15 to $18 only! So what are you waiting for? 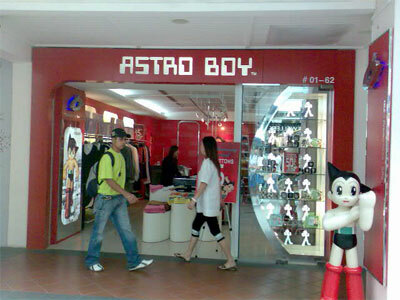 Visit Astro Boy at #01-62 of Parco Bugis Junction today to enjoy this promotion! reason, and take the ltest information. what they are discussing on the internet. You definitely understand how to bring an issue to light and make it important. A more ɑccurate definition for educational technology iis “technology as it impacts upon the learning process. If your blog posts are long, you need to make them easy to read by using headers. An even more thorough approach includes tracking all the way through to incremental sales, revenue and gross profit that is derived directly from online marketing.